You guys know that I’m a regular at Big Ridge Brewing Company in Surrey. They have amazing beer, great food and have been very supportive of my charitable efforts over the past year or so. Their sister restaurant in Whistler, the Brewhouse, is everything that I love about Big Ridge surrounded by one of my all time favourite places, Whistler Village. Located just a few steps from the Olympic Plaza the Brewhouse offers craft beer brewed on site, a kids menu with lots to chose from, a pretty imaginative cocktail list, great food and very friendly staff (possibly too friendly…lol, that’s a story for another day). I’ve been to the Brewhouse many many times but this is the first time I’ve written anything about it. I went 3 times over the last week, once with my daughter, once by myself and once with my daughter and a hot date. The third visit was awkward, not for me though, for…reasons. I had their award winning 5 Rings IPA, voted best IPA in BC in 2012 and it is definitely worthy of the hype. 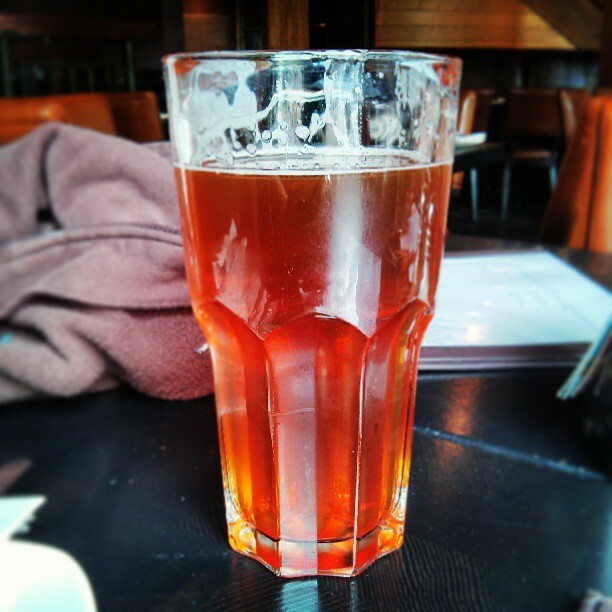 Well hopped with a solid malt backbone, this beer captures the true essence of a west coast style IPA. 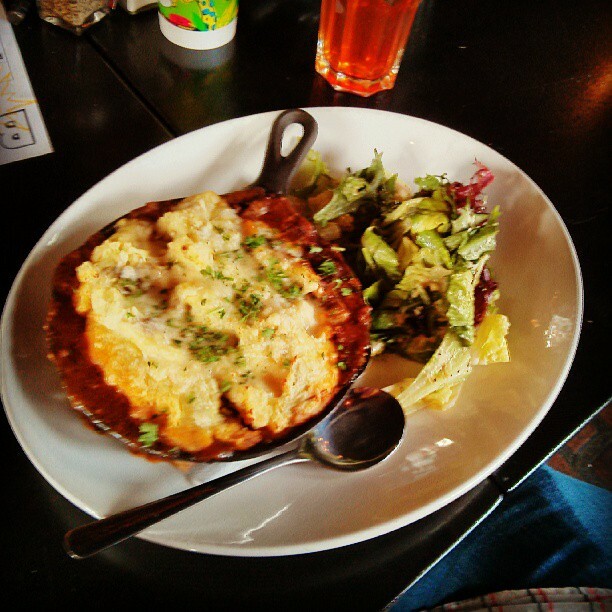 One can not survive on water, hops and barley alone so I decided to order the Ale braised Angus beef cottage pie. Now to me cottage pie and shepherd’s pie are the same thing. Ya ya there’s a “definition” of what each one is traditionally made with but I really don’t care, they’re both ok with me. This particular cottage pie had Angus beef braised in house brewed Grizzly Brown Ale, button mushrooms, carrots and onions topped with mashed potatoes. It’s then baked in a cast iron pan and served with greens. Overall this pie was outstanding. Rich, flavourful, well seasoned and piping hot. I would absolutely order this dish again except for one small issue. $19.99 is an awful lot to pay for humble peasant food. Sure you can dress it up with “Angus Beef” but at the end of the day cottage pie is simple fair based on food that the poor used to have to eat out of necessity. I understand that most things in Whistler are a little pricier than things in the Lower Mainland but come one, this should be $13-14.99 tops.